We are one big happy family here at One Vision Signs! 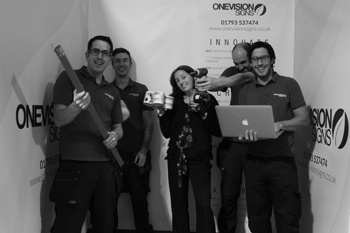 Slowly One Vision Signs is building a great team to keep up with the demands of our customers. 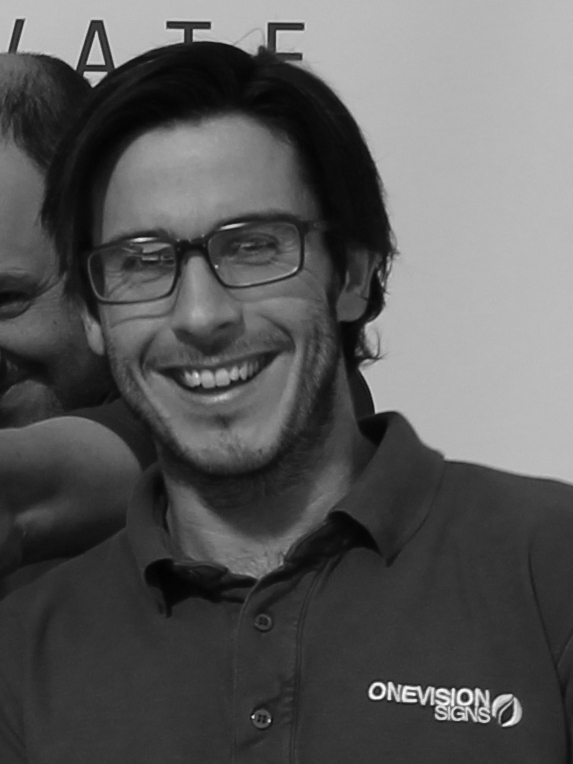 It’s taken some time but we think we have a team that love what they do and love to do it well. What’s your favourite horror movie? None! Still scared of them! At the beach would you rather play in the sand, or play in the water? If the water is warm I would choose the water, if not then it’s the sand all the way! Have you ever collected stickers? If so what ones? Yep, haven’t we all? The classic Panini Football stickers and The Teenage Mutant Hero Turtles ones too. If you had to choose between a million pounds and being able to fly, which would you choose? I would choose flight! That’s a no brainer. What happens if Pinocchio says “My nose is going to grow now”? His head will explode! At the beach would you rather play in the sand, or play in the water? Depends in the country the beach is on, England: Neither… Somewhere warm: Both, what’s there not to like about a beach abroad!? If you had to choose between a million pounds and being able to fly, which would you choose? Money is over rated, fly every day of the week! What happens if Pinocchio says “My nose is going to grow now”? Um, I guess nothing??? What’s your favourite horror movie? None because they are all rubbish! At the beach would you rather play in the sand, or play in the water? Would rather sit by the pool with a cocktail. Have you ever collected stickers? If so what ones? Yes, Barbie and not that long ago. If you had to choose between a million pounds and being able to fly, which would you choose? Fly then earn the million pounds. What happens if Pinocchio says “My nose is going to grow now”? It will grow so big. Have you ever collected stickers? If so what ones? Yes – Gold Stars! If you had to choose between a million pounds and being able to fly, which would you choose? Million Pounds / pay someone else to fly. What happens if Pinocchio says “My nose is going to grow now”? He is telling the truth, so it can’t happen. What happens if Pinocchio says “My nose is going to grow now”? He has lied… I think…! ?